Genius Project provides a powerful platform for reporting, analysis and information delivery. It combines report creation and analysis tools with a content management and delivery system. 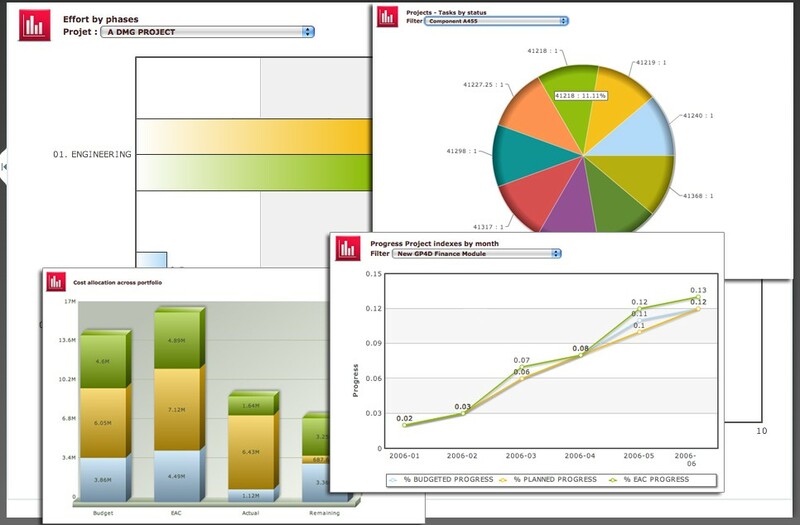 Genius Project, PPM software offers 100% configurable project dashboards. The project dashboards can contain only the views or graphics you want, or a combination of both. Once defined, these dashboards can be made available to all users simply by adding them to the navigation. 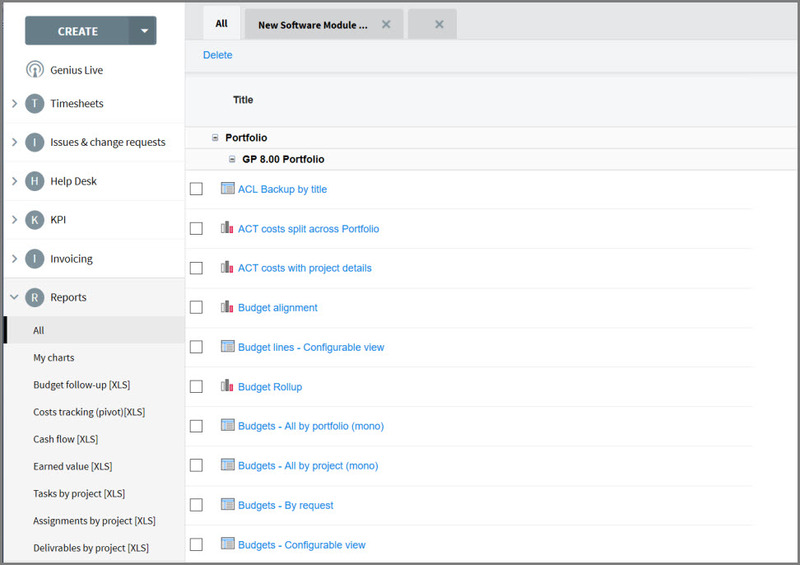 Genius project's project report software features comes with a collection of project reporting tools, such as, predefined dashboards, but you can create and store your own drill down project and portfolio tracking dashboards. 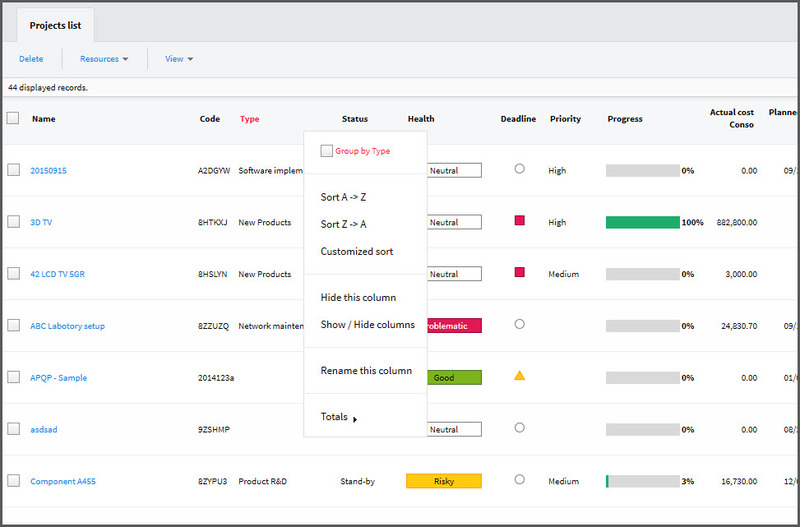 Genius Project Charts allows users to easily create or customize project charts, including drill down capabilities. Many different types of charts are available such as trend line, scatter, bubble chart, pie, etc. Delivering the best in PPM and project reporting software, Genius Project's analytics capabilities gives portfolio users and project managers the big picture with project dashboards while allowing them to drill-down to the smallest detail for better project tracking and portfolio tracking. 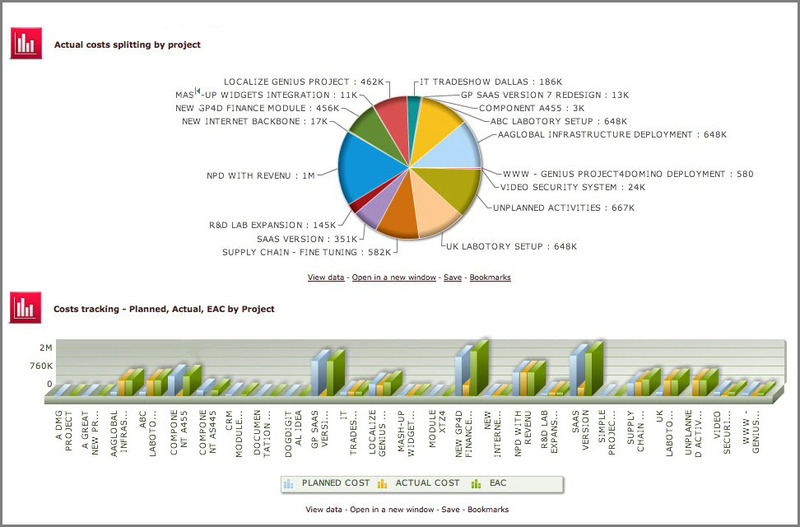 Analytics and ad-hoc reporting capabilities allow users to create ad-hoc reports with the ability to query, filter, group, compute and format data from Genius Project views on-the-fly allowing for improved project analysis and portfolio analysis. Delivering the best in PPM and project reporting software, transform any Genius Project view and project dashboards into Microsoft Excel reports and charts. Create your report layouts once, store them in the template repository, and use them as many times as you need improving project analysis. 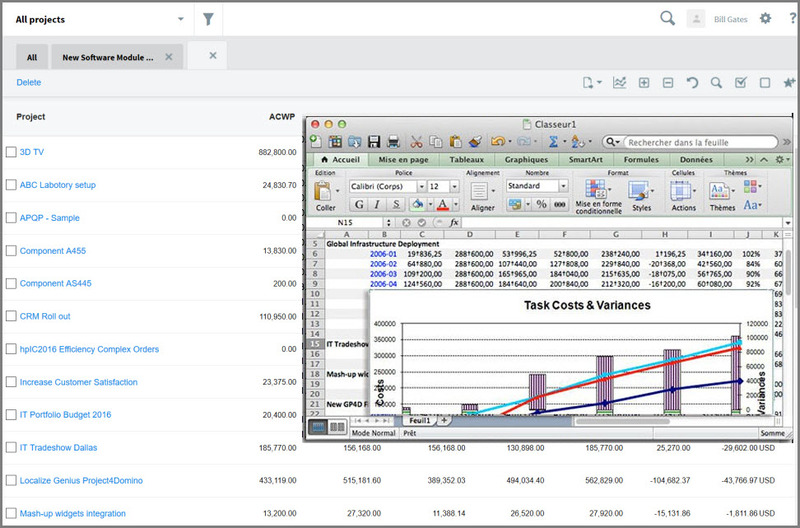 Take advantage of advanced features in Microsoft Excel such as Pivot Tables, conditional styling, and drill-downs to analyze project data without having to purchase specialized OLAP tools. Genius Project contains a set of predefined report templates, which can be updated and extended to fit your organization’s project reporting requirements. Genius project delivers comprehensive PPM software capabilities along with a collection of predefined project dashboards and reports covering areas including project tracking and project reporting, with the ability to also create and store your own customized project charts and reports. Genius Project also provides complete project reporting software features with many different types of reports available out-of-the-box. Users can now rearrange views so that data is displayed the way they would like. They can also save various formats for the same view and use them whenever needed.